Birdwatching is one of the fastest growing hobbies in the United States, and may soon eclipse golfing as the nation’s most favored pastime and recreational activity. You have joined the ranks of over 46 million people, who find nature and the marvelous world of birds to be a captivating hobby. The suggestions provided below are just some of the things you can do to become a successful and proficient “birder.” Good luck! The first thing to do is to purchase some simple items that are the basic tools you need to begin birding. They include binoculars, a field guide, and a checklist. 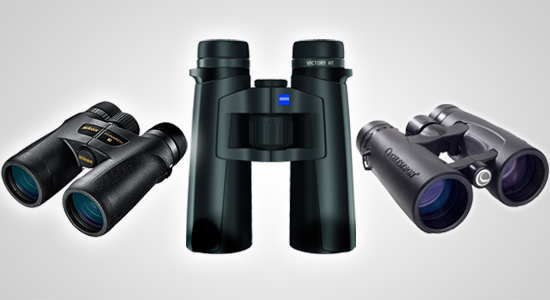 Deciding which binoculars are right for you, at first, may seem confusing. So we will assist you in your decision-making process. Binoculars are available in many brands and different powers (levels of magnification), and most importantly, prices! One can spend $75.00 to $2,000.00 on binoculars. To simplify matters for you, we make the following recommendations. First, decide what your budget is. Low-end binoculars will be functional, but will lack clarity, color, brightness, resolution, and durability over the medium to high end products. However, they may be just right for you as a beginner, so don’t count them out immediately. Binoculars must be comfortable for you when using them, so if you have small hands, look for smaller, lighter weight models, as opposed to buying the “big boys.” We recommend 7X to 10X power binoculars, with armor coating. We do not recommend “mini” binoculars that are used for operas and horse racing. They are not appropriate for birding, and constant use will result in poor views and eyestrain. We also recommend not using your grandfather’s relic binoculars that he used when he served in the Navy in WWII, that have been sitting in your attic for decades. They are a family keepsake, but not useful for birding. A telescope can be very useful tool for observing distant, stationary birds such as shorebirds, ducks, and hawks. Most binoculars and scopes on the market today, are geared towards birding, and are pretty good, even at the low-end. There are many field guides on the market right now. Your first guide should be one geared towards the beginner. Traditionally the American birders first guide is Petersen’s Field Guide to the Birds, Eastern Edition. You may also want to look at the Stokes guides and the National Geographic guide. The National Geographic guide and the newly released Sibley Guide to Birds are written with the assumption that the reader has the basic knowledge of birds as a foundation. Nonetheless, they are all worth having in your library, especially the Sibley guide. A guide on where to find birds, also known as a “bird finding guide,” can also be of great help to you. If you prefer to use a mobile app, we recommend reading "The Best Birding Apps and Field Guides". Checklists are a very important item for you to have. A checklist of your local birds will give you an immediate and easy reference to what you expect in your area. This will let you narrow down the possibilities when you are identifying a bird in your local park. When visiting the North Huron Birding Trail, be sure to download our Trail Map and Birding Checklist. A birding diary or journal is an important item to have and use. You will find that once you start identifying birds, whether it is in your backyard, down the road, or on another continent, you will want to refer back at some point to see when you saw your first Magnolia Warbler and where it was. A birding journal or diary will assist you in keeping your notes, thoughts, and personal birding experiences well documented. Subscriptions to magazines will keep you informed with timely information, too. For the beginner, we recommend Birdwatcher’s Digest. If you feel up to the challenge, why not subscribe to Birding magazine published by the American Birding Association? Initially, you may feel like the content is over your head, but before long, you will appreciate the quality of this national birdwatching publication. Solitude and patience. Birds are sensitive and cautious creatures. Noise such as loud chatter will keep them away. They will soon come into view if you sit quietly for a while and wait for them in an unobtrusive manner and if you are more or less out of sight. Wear sturdy shoes, a windbreaker, and depending on the length of your excursion some provisions and drinking water. Before you leave for another area, take a short look around the place to make sure you left none of your belongings and gear behind.